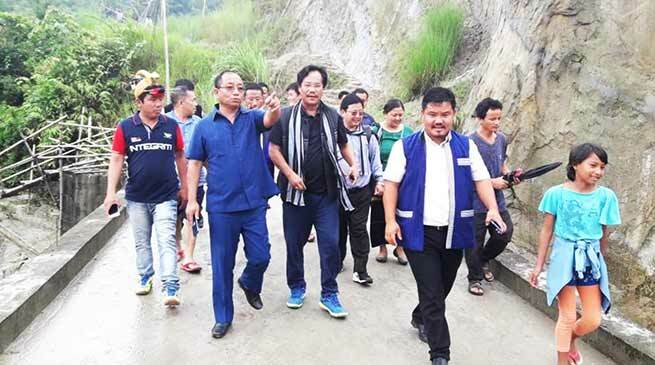 Itanagar MLA and Parliamentary Secretary PWD, ULB and Urban Development Techi Kaso today visited Sengri Colony and interacted with the local resident of the nearby people and heard and discussed problems and grievances. Kaso discussed various issues related to connectivity problems, approach road, CC link roads, power supply and other issue and assured to take up the matter soon for consideration and implementation. While requesting the locals to remain with administration and government for all round development, Kaso appeal them to maintain neat and clean in the area to remain healthy and fit.